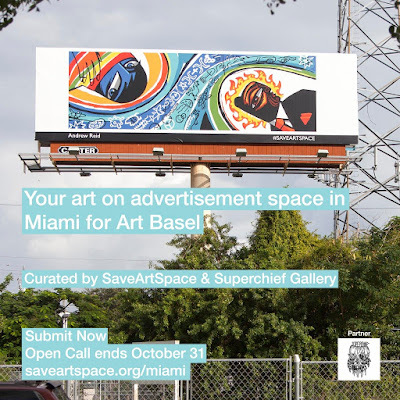 Brooklyn-based nonprofit SaveArtSpace has partnered with Superchief Gallery to bring more public art to Miami via advertisement space. This is your opportunity to have your art on billboards or other advertisement space in Miami during Miami Art Week. Open call ends at midnight (eastern) Oct. 31, 2018. Rolando Chang Barrero is an American painter, curator, gallerist, filmmaker, performance artist, activist and arts advocate. Born in Coconut Grove, Florida and currently resides in West Palm Beach, Florida. 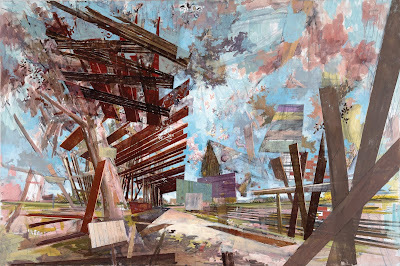 Barrero received his BFA from the School of the Art Institute of Chicago (SAIC) in 1990. EVERY ONCE IN A WHILE A PERSON MAKES A BIG impact. Five years ago, that person arrived in Palm Beach County and his activism, leadership and energy ripple through the arts community continuously. After he opened his studio in Boynton Beach, Barrero helped to initiate the Boynton Beach Arts District. Shortly thereafter with fellow artist Craig McInnis, they launched Art Synergy PBC, exhibiting local artists at the Palm Beach and Boca Fine Art Shows. Next he opened his eponymous gallery on Lucerne Avenue in Lake Worth and then launched his fourth art endeavor The Box Gallery with 4,000 square feet of exhibition space on Belvedere Road. "Cultural Creative" -Art Hive Magazine. "Artistic Innovator" -The Florida Weekly. "Top 10 Visual Artists in Palm Beach County" -New Times. "Most Intriguing People of the S.Florida Arts Scene" -South Florida Gay News. 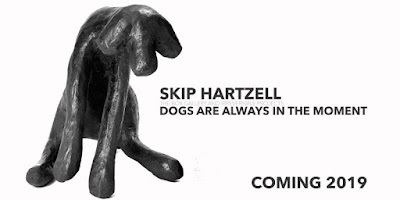 "Dogs are always in the moment," said Skip Hartzell. "Although nothing in life has held my attention longer or has been more fascinating to me than dogs, my work is about much more than that. It is about form, movement, color and texture. The dogs are a recognizable common denominator that allows me to communicate my joy of living, passions and sentiments." Sculpture 16 x 16 x 12 Inches, and 'The Muse Returns' (2018) Mixed Media on Paper, 53 x 48 Inches. The recipient of a BFA in Sculpture and an MFA in Painting, young Hartzell taught high school students for two years while continuing his creative studies at the University of Iowa. Shortly thereafter he relocated to Chicago, Illinois with the intent to pursue art full-time. 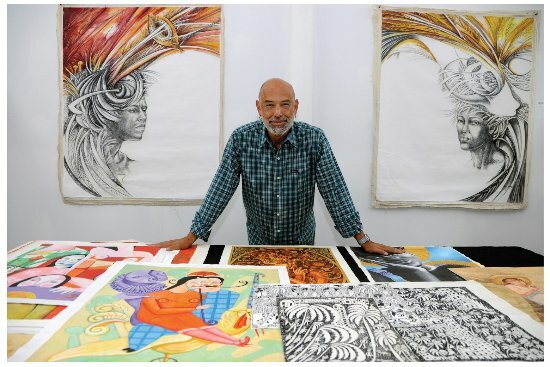 After struggling to make ends meet as an artist, Hartzell began doing freelance illustration work which led to a successful 35-year career in advertising and marketing. 'Night Walker', Flashe & Graphite on Paper, 55 x 93 Inches. It wasn’t until Hartzell retired from his distinguished career that he returned to creating his art full time. 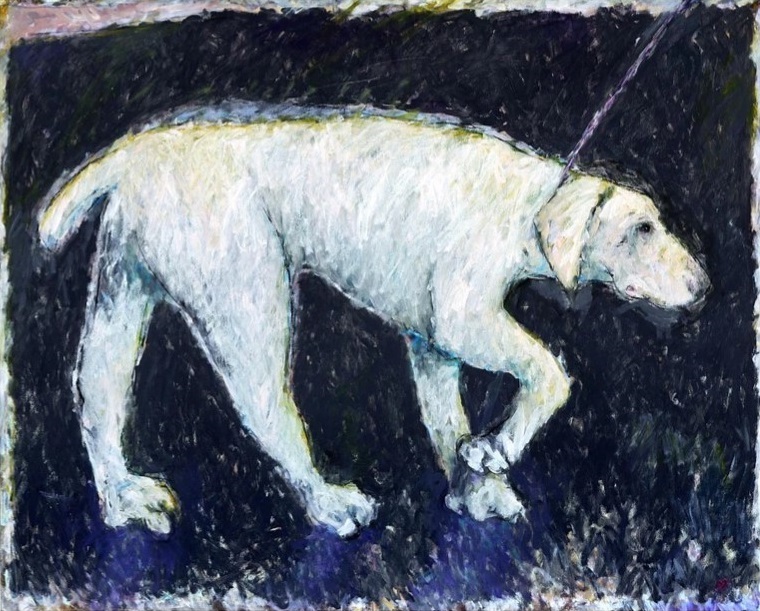 The most meaningful of his inspirations was a longstanding and deeply embedded love of dogs. 'Whitey', Oil & Graphite on Canvas, 48 x 60 Inches. 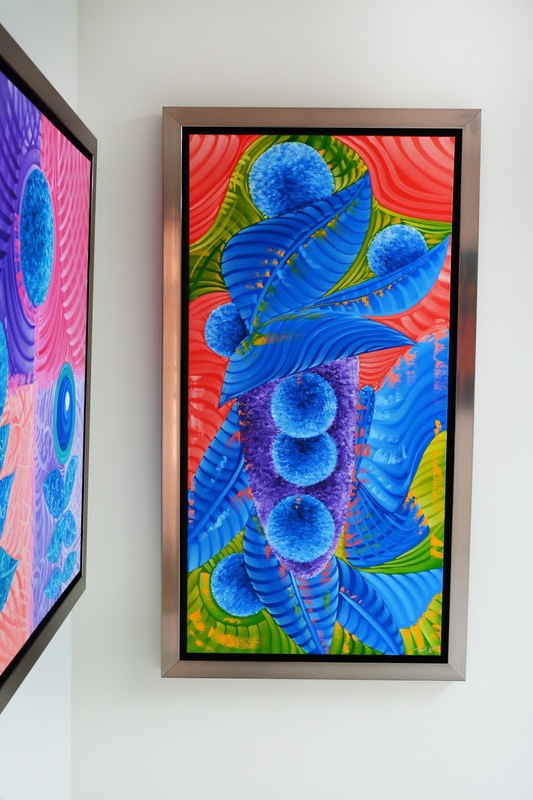 Hartzell's work is rich with intricacies of color and technique. His painterly expression captures each dog’s own personality with beautiful textures, line and brush strokes using mixed media to bring each dog to life — from paintings, sculptures, works on paper to installations. 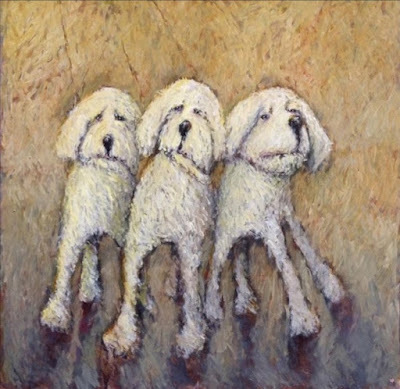 The artist is passionate about his subject matter and donates proceeds from the sale of his artworks to animal-rescue no kill shelters. 'They Think We Are Crazy', Oil on Canvas, 48 x 48 Inches. Hartzell has several shows and exhibits lined up in the next coming months, his first show on the horizon will take place during Art Basel Week at Aqua Art Miami December 5-9, 2018 Room 124 at the Aqua Hotel. Aqua’s unique environment has become a favorite gathering spot for collectors, curators and art lovers to discover fresh talent and acquire new works while exchanging cultural ideas and forming meaningful connections. After Miami Art Week the artist will be exhibiting at Art Palm Beach January 16-20, 2019. 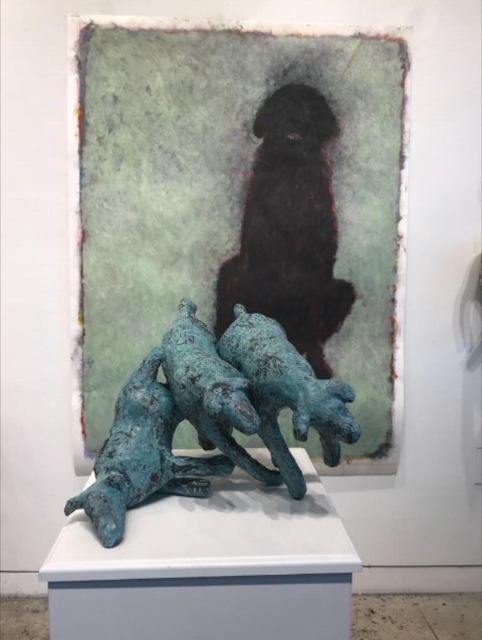 The fair is celebrating it's 22nd Edition, taking place at the Palm Beach County Convention Center - it is the largest art fair in the Palm Beaches dedicated to contemporary, emerging, and modern works of art from the 20th and 21st centuries. Video, performance art, art installations, and new technologies have become unique features of the fair offering collectors exposure to today’s emerging art trends. 'Raw Dog #1', Mixed materials with Burlap and Concrete, 75 x 45 x 35 inches. 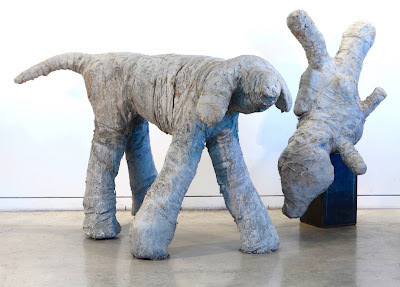 And 'Raw Dog Balls', Mixed materials with Burlap and Concrete on Steel Base, 55 x 35 x 24 inches. 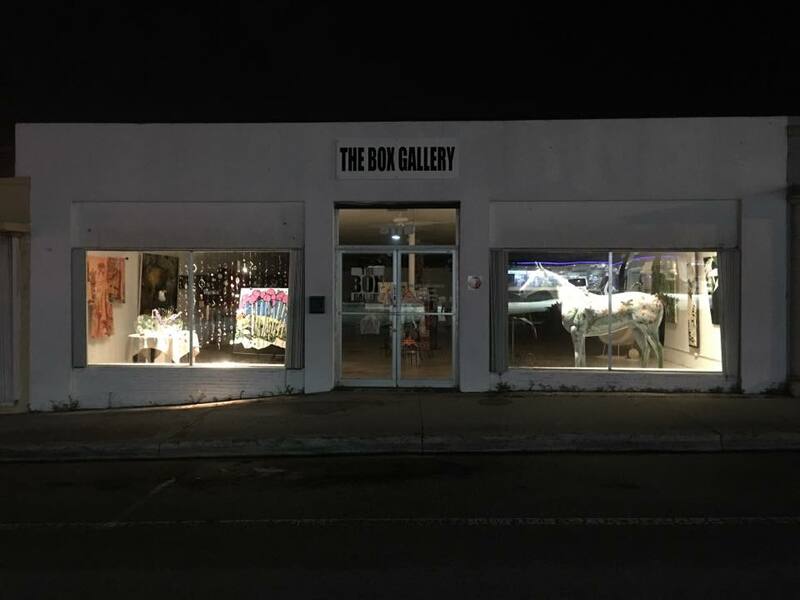 With another exhibition taking place February 9 through March 9, 2019 when Skip Hartzell exhibits at The Box Gallery at 811 Belvedere Road in West Palm Beach, Florida 33401. 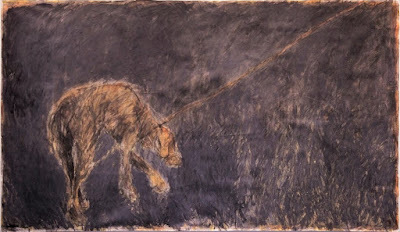 "Guests will enjoy the inventive depictions of man’s best friend 'feel good' exhibition, where the passion of the artist and the love of dogs in unlimited configurations are joined in his paintings, works on paper and four-legged sculptures to make a fascinating presentation of pictures with an obvious aristocratic appearance and a recognizable theme at The Box Gallery," said curator Rolando Chang Barrero. 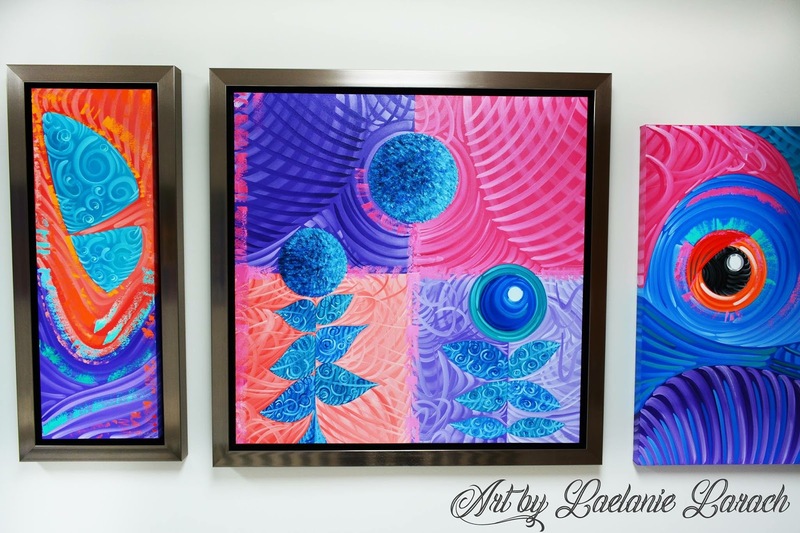 South Florida artist Laelanie Larach was born in Honduras, a beautiful country in Central America with coasts on the Caribbean to the east and the Pacific Ocean to the west. This beautiful environment of mountains, tropical forests, and sandy beaches inspires Laelanie's artistic expression. In her earliest works she used pastels, watercolors, and charcoal; later expanding into the medium of oil on canvas. The beloved Miami-based artist has a successful art gallery in Doral, Florida — Laelanie Art Gallery is located at 10530 NW 26th Street, Suite F104 in Miami, Florida 33172. Visitors will be immersed in a creative environment, experiencing Laelanie's unique works with vibrant colors, textures, and concepts. Her inspiration comes from different sources, it could be the open spaces, a sea breeze, or a profound silence that carries different levels of consciousness with a limitless reality — all is transferred onto a canvas and done for the love of art. Laelanie Larach will be exhibiting at Spectrum Miami December 5-9, 2018 in the Wynwood Arts District, taking place at Mana Wynwood. 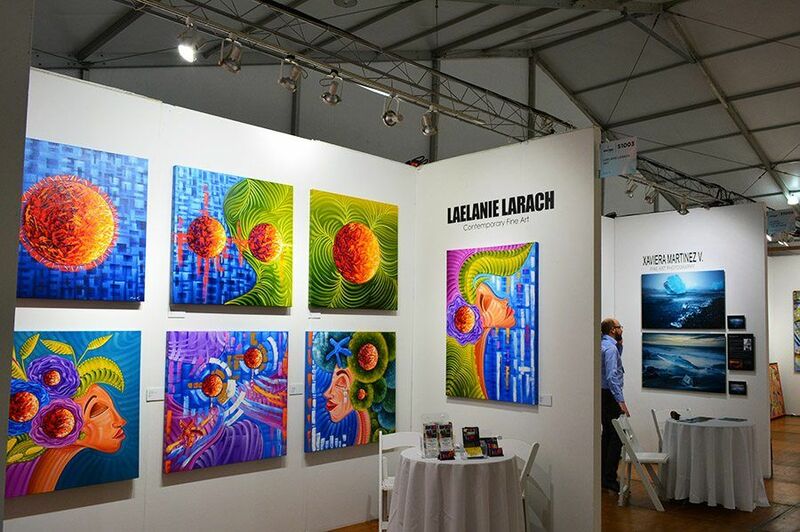 A must see exhibition where collectors, curators and art lovers will gather to experience Laelanie Art Gallery in Booth 642, an exciting solo exhibition of the artists' work. 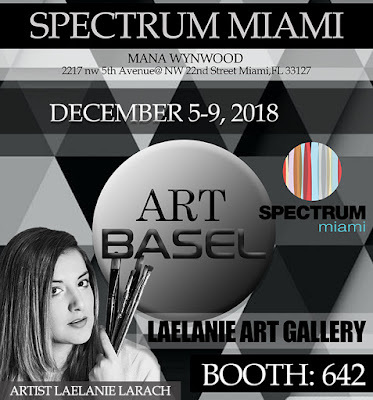 Learn more about this fascinating artist, visit Laelanie Art Gallery at 10530 NW 26th Street, Suite F104 in Miami, Florida or shop her collections online. Tell Laelanie about your favorite painting or just say hello. Whether you've got a big idea or need some inspiration with a commissioned painting, the artist is available to create the perfect art. 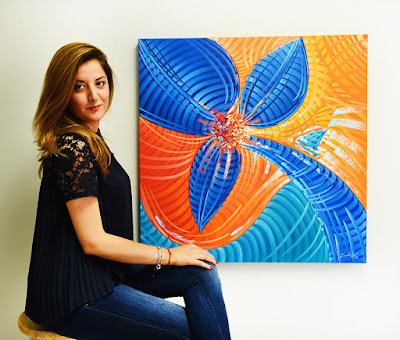 From sketch to creation, Laelanie Larach will certainly inspire you! 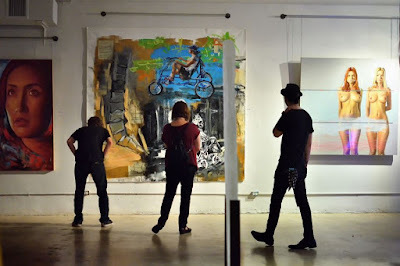 Since its inception Untitled Art has produced a dynamic range of artist-focused special projects and programming that have included installations, performances, discussions and interventions that reinforce its dedication to presenting a diverse selection of the most compelling contemporary art. December 5-9, 2018 enjoy Untitled, ART Miami Beach as the international curated art fair embarks on its seventh edition in Miami Beach with a dynamic roster of 133 international exhibitors from 29 countries and 55 cities during Miami Art Week. Untitled, Art innovates the standard fair model by selecting a curatorial team to identify, and curate a selection of galleries, artist-run exhibition spaces, and non-profit institutions and organizations, in dialogue with an architecturally designed venue. The next edition of Untitled, Miami Beach will take place on the beach at Ocean Drive and 12th Street. Untitled Art is an international, curated art fair founded in 2012 that focuses on balance and integrity across all disciplines of contemporary art. Untitled Art innovates the standard fair model by selecting a curatorial team to identify, and curate a selection of galleries, artist-run exhibition spaces, and non-profit institutions and organizations, in discussion with a site-specific, architecturally designed venue. 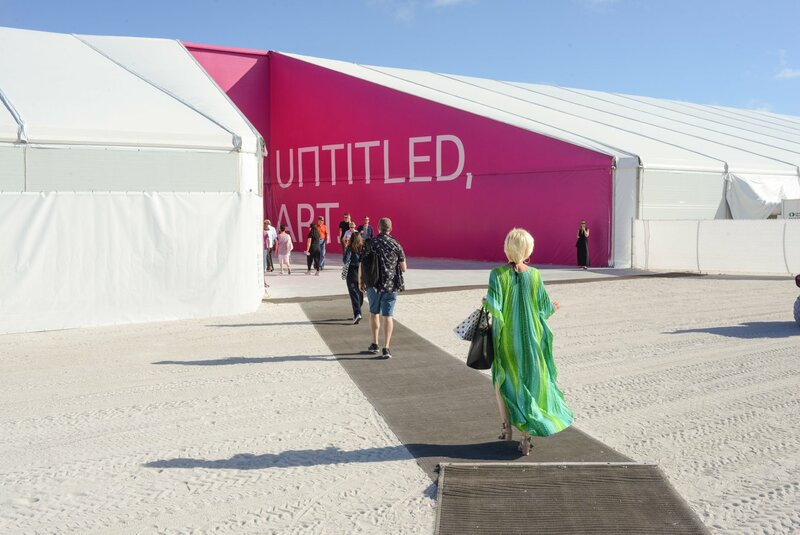 The next editions of Untitled Art will take place on the beach at Ocean Drive and 12th Street in Miami Beach, FL, December 5 – 9, 2018, and at the Palace of Fine Arts, 3601 Lyon Street in San Francisco, CA, January 18 – 20, 2019. 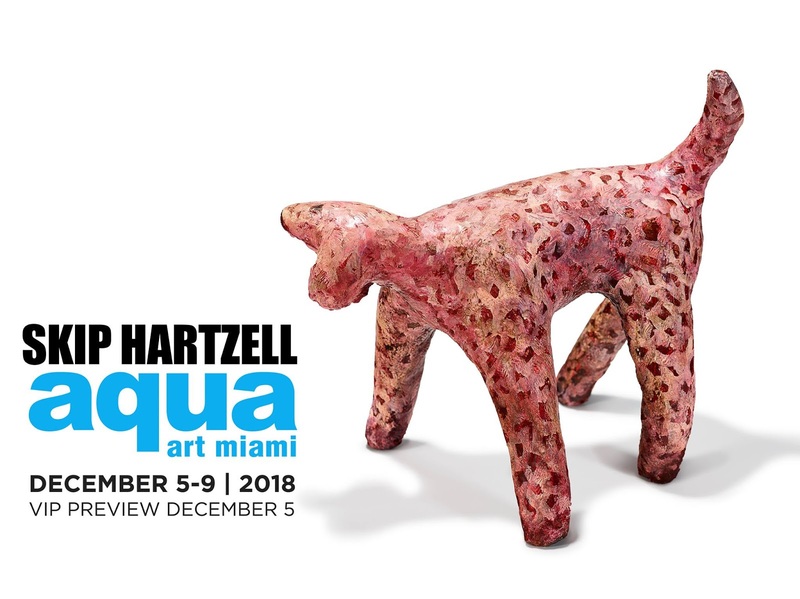 Announcing renowned dog artist Skip Hartzell's exhibition at Aqua Art Miami during Miami Art Week this coming December 5-9, 2018. 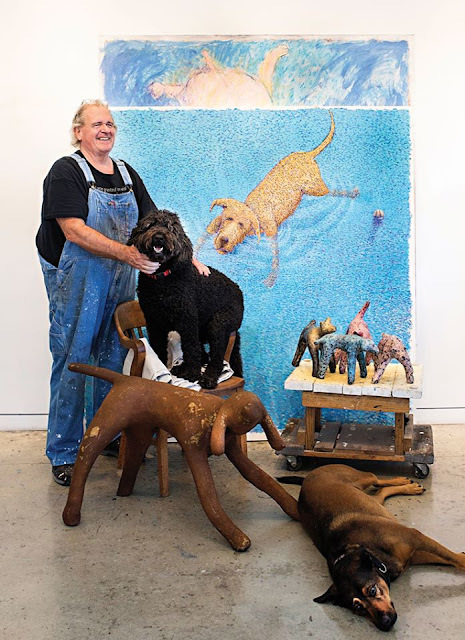 Artist Skip Hartzell creates dog-inspired art for art lovers and dog lovers alike, but he's not your typical "dog artist" by any means. 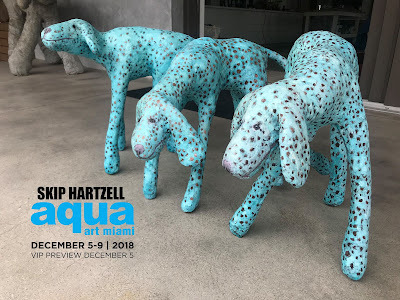 Hartzell creates unique pieces, from paintings, sculptures, works on paper, to wall installations. Skip Hartzell's Dogs are sophisticated and heartfelt, with a playful touch. The artist is passionate about his subject matter and donates proceeds from the sale of his artworks to animal-rescue no kill shelters. Experience an amazing showcase at Aqua’s unique environment in a classic South Beach hotel with spacious exhibition rooms that open onto a breezy, intimate courtyard has become a favorite gathering spot for collectors, curators and art lovers to discover fresh talent and acquire new works while exchanging cultural ideas and forming meaningful connections. The Vero Beach Museum of Art presents an exciting selection of approximately sixty works selected from over 500 objects of contemporary German art drawn from the deep holdings of the renowned Rubell Family Collection in Miami, Florida. Don and Mera Rubell have established one of the first major private museums of contemporary art that has become an international model. 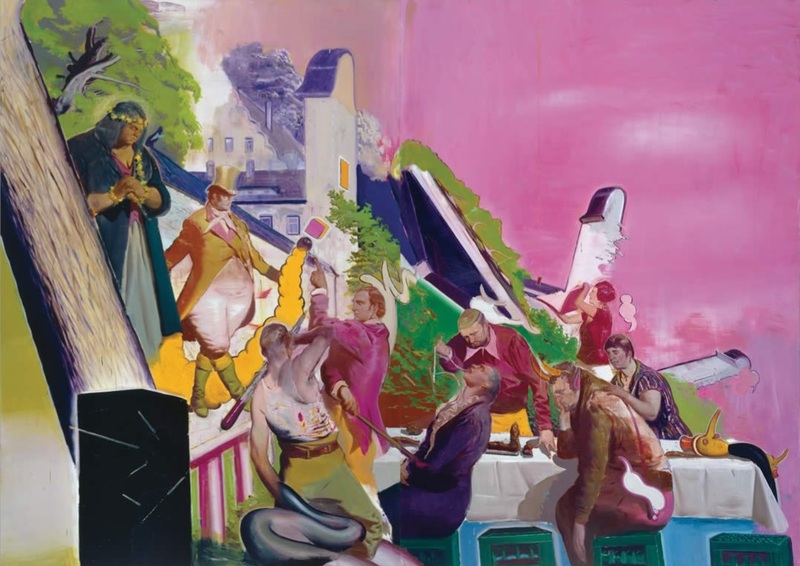 Neo Rauch, ‘Vorfuehrung’, oil on canvas, Courtesy of the Rubell Family Collection. 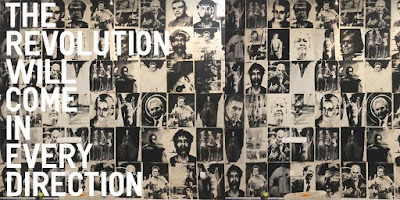 The exhibition chronicles this landmark period through cutting-edge painting, sculpture and photography from some of the most important practitioners of contemporary art. 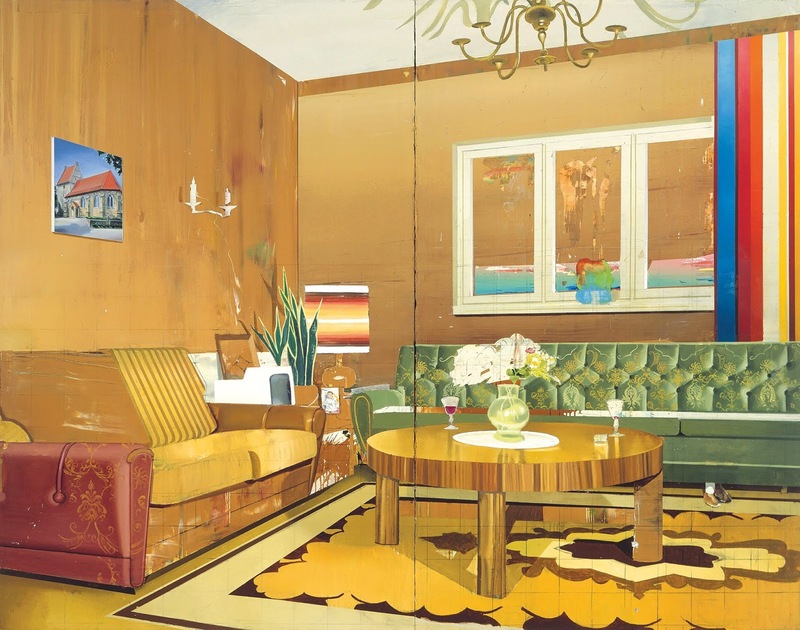 During the post-World War II era, Düsseldorf and Cologne became leading centers for contemporary art. 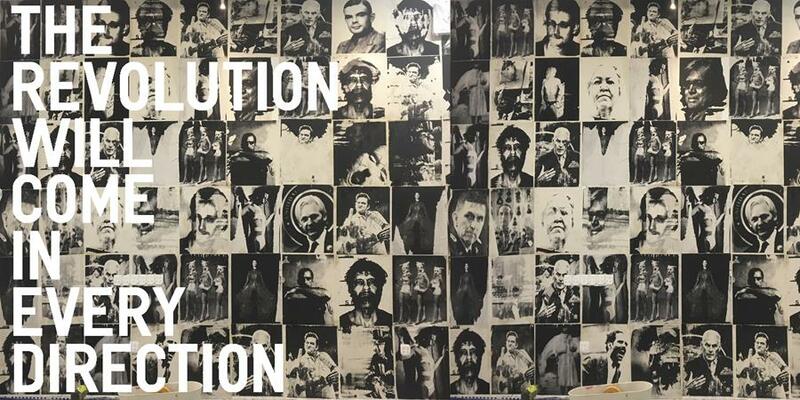 After the fall of the Berlin Wall, both Berlin and Leipzig also emerged as important contemporary art centers. Few countries have had four major centers of contemporary art at one time. 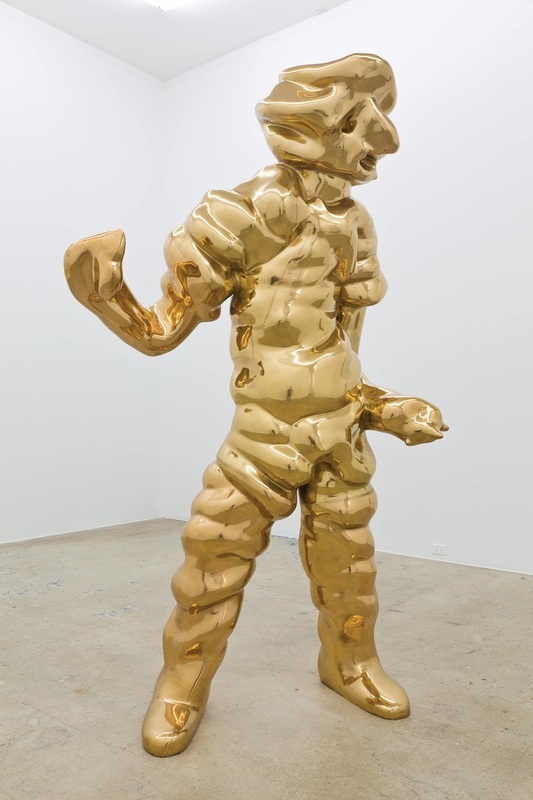 Thomas Schütte, ‘Grosse Geister’, Courtesy of the Rubell Family Collection. This exhibition features exceptional examples from these cities pioneering artists from the late-twentieth centuries, including Anselm Kiefer and Gerhard Richter; sculptors Isa Genzhen and Thomas Schütte; influential photographers Bernd & Hilla Becher, Thomas Demand, and Thomas Ruff; and painters Martin Kobe and Neo Rauch, among others. David Schnell, ‘Schilder’, Courtesy of the Rubell Family Collection. 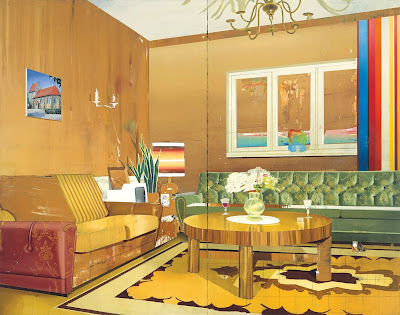 Matthias Weischer, ‘St. Ludgerus’, Courtesy of the Rubell Family Collection. Museum admission fees apply: $10 Adults, $9 Seniors (65+); Students with ID, Youth 17 and under, Museum members, and active military with ID and their families receive free admission. Museum hours are Monday to Saturday, 10 am – 4:30 pm; and Sundays, 1 pm – 4:30 pm. The Vero Beach Museum of Art is located at 3001 Riverside Park Drive, Vero Beach, Florida 32963. Directions: From I-95 (Exit 147), from U.S. One, and Indian River Boulevard, take State Road 60 east over the Merrill Barber Bridge to beachside, turn right at first traffic light into Riverside Park. 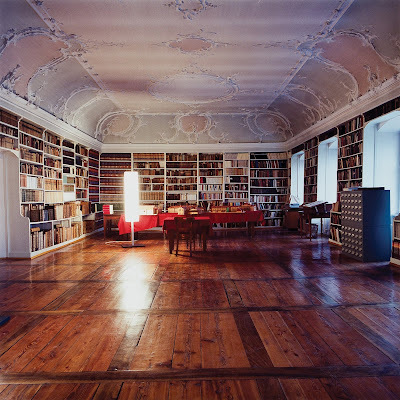 Candida Höfer, ‘Kloster Mehrerau Bregenz I’, Courtesy of the Rubell Family Collection. About the Rubell Family: Mera and Don Rubell are pioneers who discover and champion young artists, undiscovered neighborhoods and new ideas. Mera and Don first began engaging with artists, galleries, and museums in 1964 while living in New York. They moved to Miami in 1992 and, with their son Jason and daughter Jennifer, began developing hotels and an art foundation and museum to house and publicly exhibit their expanding art collection. Combining their instinct for emerging neighborhoods with aesthetic acuity and hands-on business know-how, they formed Rubell Hotels and have subsequently transformed and enlivened neighborhoods on the East Coast. They helped spearhead the transformation of South Beach in the 1990’s and their art museum, located in a former DEA warehouse, did the same for Miami’s new cultural epicenter, the Wynwood neighborhood. The Rubells were also instrumental in bringing the Art Basel art fair to Miami Beach.